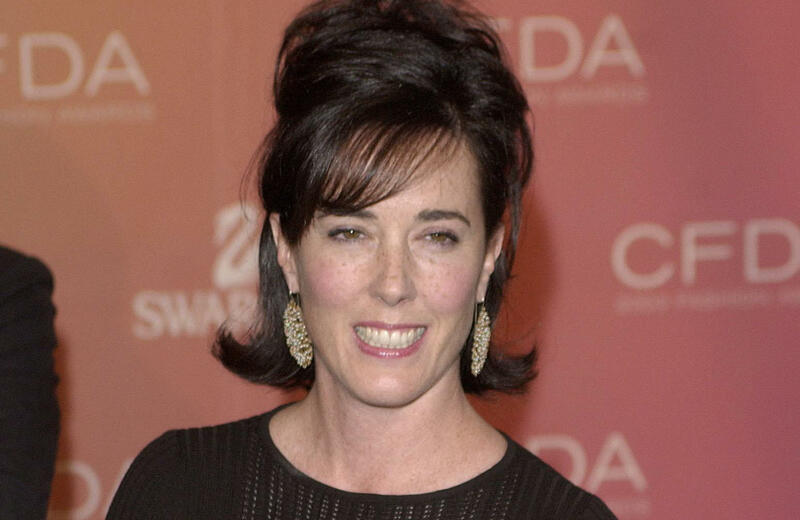 NEW YORK -- Fashion designer Kate Spade was found dead in her apartment of an apparent suicide Tuesday, police said. She was 55. The NYPD's chief of detectives, Dermot Shea, said that while investigators were still in the early stages of their inquiry, evidence including the state of the apartment and the presence of a note pointed to "a tragic suicide." It's unclear how long Spade had been dead. The medical examiner will perform an autopsy. "We are all devastated by today's tragedy," Spade's family said in a statement through a spokesman. "We loved Kate dearly and will miss her terribly. We would ask that our privacy be respected as we grieve during this very difficult time." "I grew up in the Midwest, where you have to have it (a fashion item) because you like it, not because you're supposed to have it," she told The Associated Press in 2004. "For our customers, fashion is in the right place in their life. It's an adornment, not an obsession." "As an accessory, a great bag that takes the outfit somewhere else is interesting," she told the AP in 2000. Coach, now known as Tapestry, bought the Kate Spade brand last year for $2.4 billion, seeking to broaden its appeal. Meanwhile, Spade and her husband -- brother of comedian David Spade -- started a new handbag company a few years ago, Frances Valentine. And she changed her name to Katherine Noel Frances Valentine Brosnahan Spade. Spade was the aunt of "The Marvelous Mrs. Maisel" star Rachel Brosnahan. CBS News' Pat Milton contributed to this report.